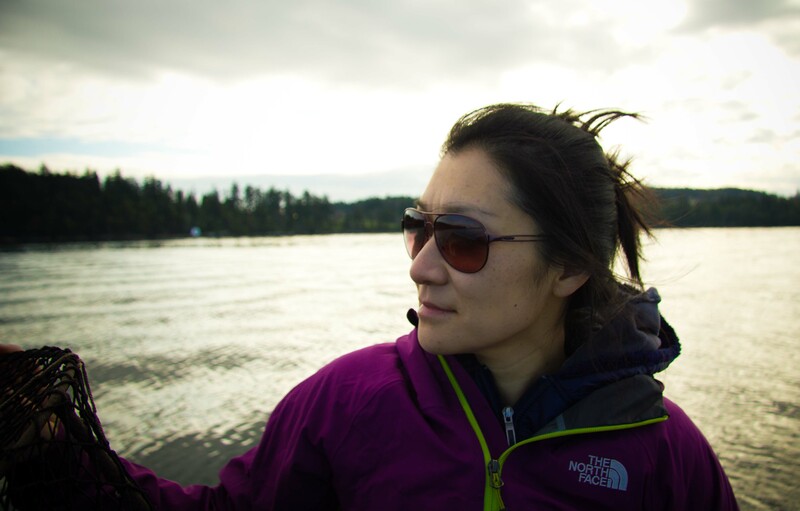 Taking the ferry to Vancouver Island means 1 of 2 things for me, paddling or prawning. 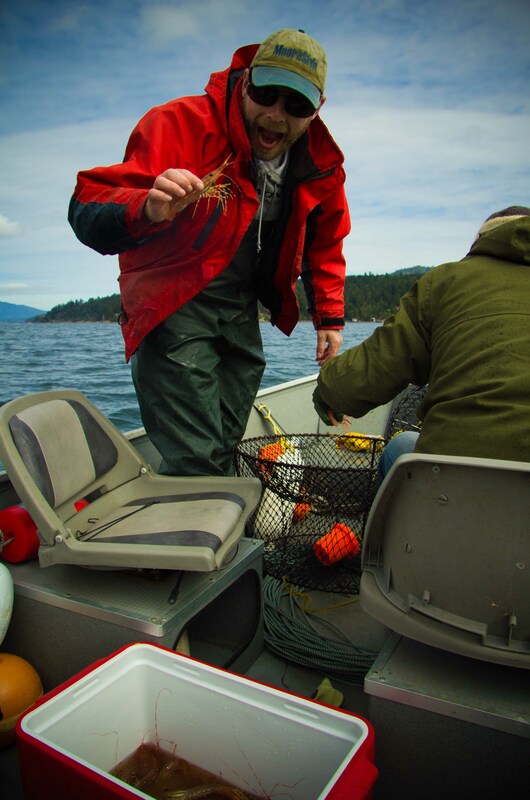 And because it’s not time for the Victoria Dragon Boat festival, that meant that I was eagerly anticipating a weekend of prawning with my brother-in-law Mark. 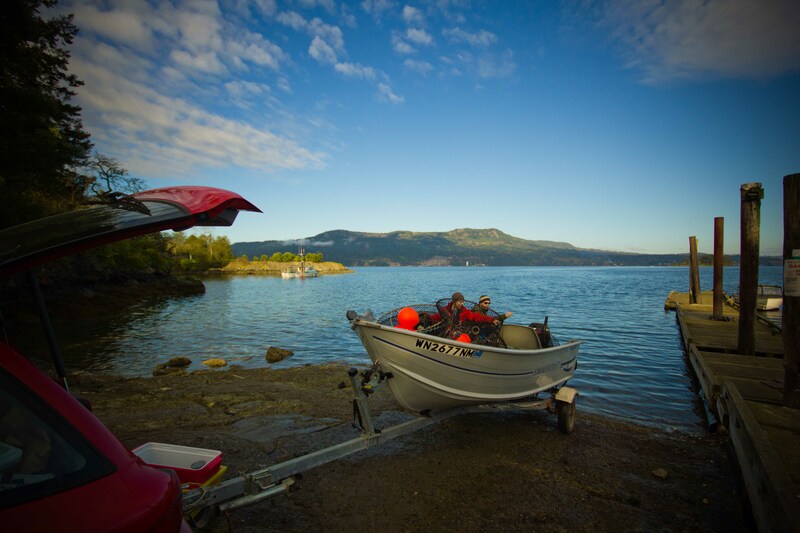 After last year’s success, we were eager to get out on the water early Saturday to see if what we’ve learned over the past year could be put to use and how our improvements may lead to another bountiful haul. 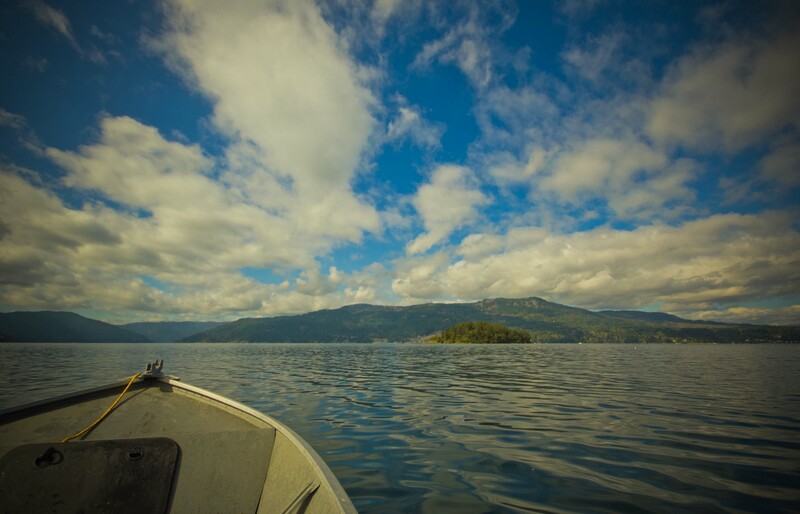 We returned to Brentwood Bay to drop our traps and couldn’t have picked a nicer day to be out on the water. Within minutes of dropping the boat into the water we were off. Our Fearless Captain & Adventure Seeker Mark, without whom this adventure would never happen (and Megan for loaning him to us for the weekend). 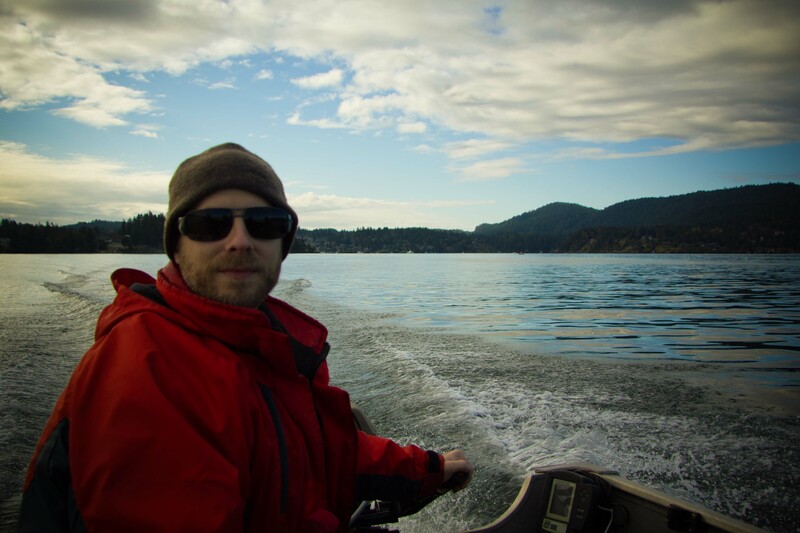 As I mentioned at the start of this post, we tried to improve over last year so we’ve replaced our lost/stolen equipment, acquired better (commercial) traps, and changed our bait to Carlyle cat food, which only lists tuna and water in its ingredients. 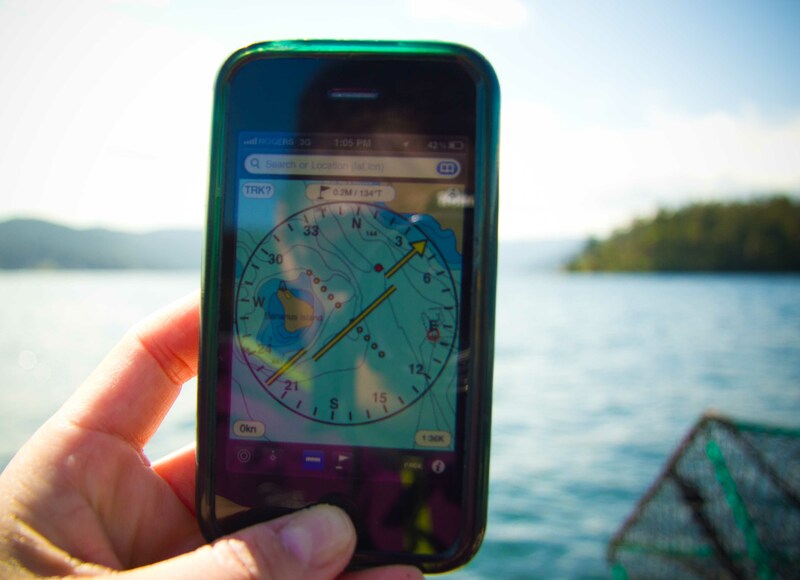 As an upgrade to the paper tidal maps, I bought the Navimatics app to help pinpoint the contours and depths. 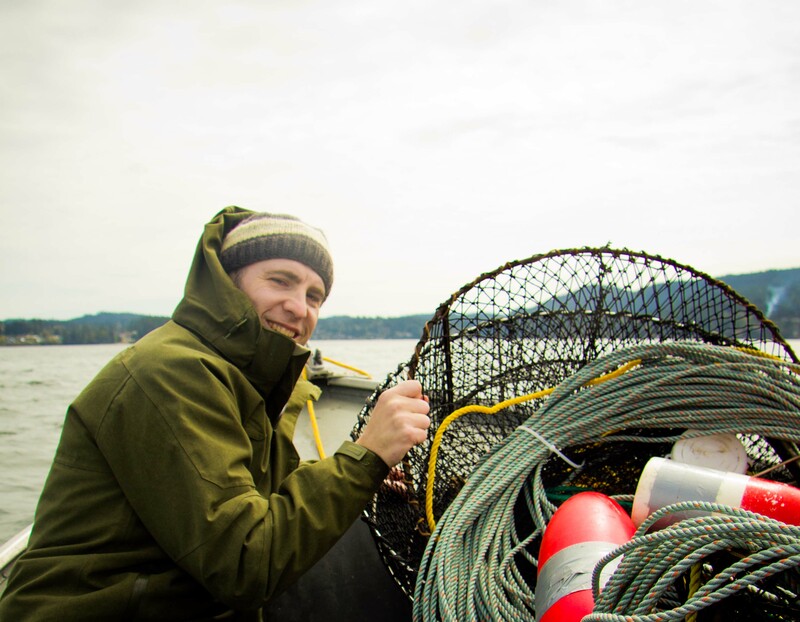 When we were close to the areas we wanted to drop, the depth-sounder was utilized to confirm our depths. We determined that between 315-340′ was where the sweet spot was. Traps were all laid and this year, rather than give them a full day soak, we thought we’d only give them a few hours. 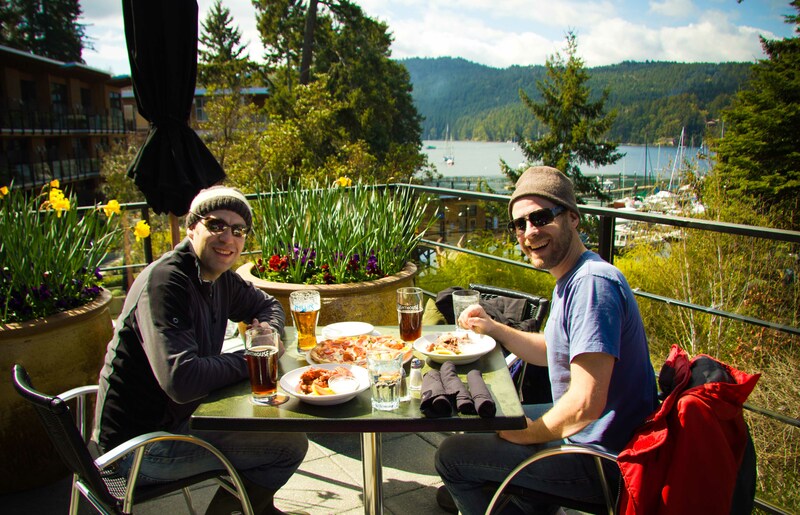 So we tied our boat up at Brentwood Bay Resort to pass the time on the patio of a somewhat overpriced pub for a quick bevie and bite. 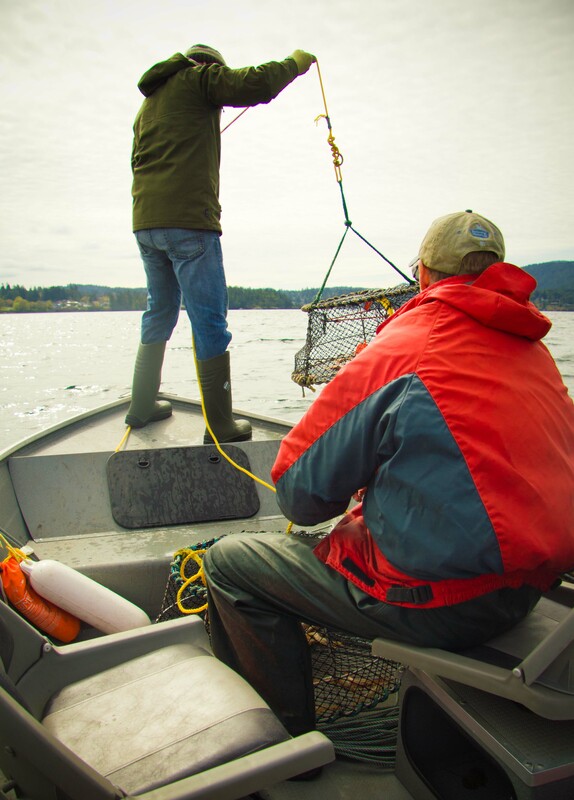 Recharged from our break, we were back on the water to check the traps. An improvement for next year would surely be a prawn puller, but for now it’s manual labour. There’s the anticipation that comes when you have the traps down that builds as you haul up 300 feet of line, pull by pull. I had visions of the abundant haul from last year and was slightly disappointed when the numbers weren’t nearly the same. But what we lacked in number we made up for in size. 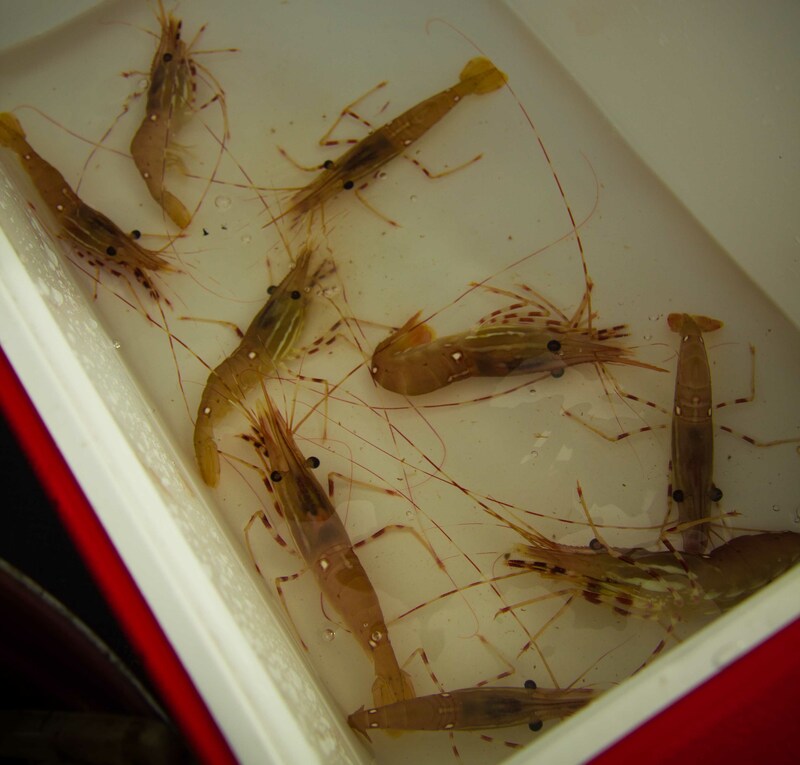 Since our catch wasn’t as plentiful as last year, although I wanted to keep eating the wriggling beasts so fresh, sweet and briny from the water, it didn’t feel right to eat too many of our catch. 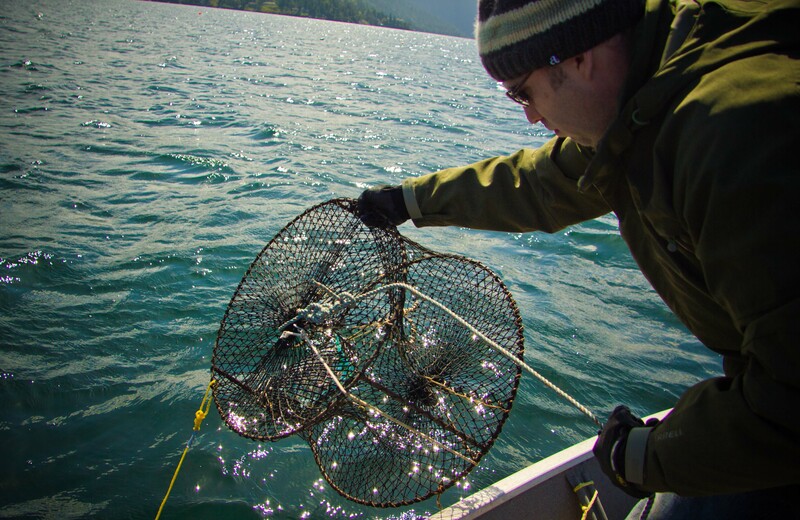 We laid the traps down for an overnight soak and took the boat in for the night. 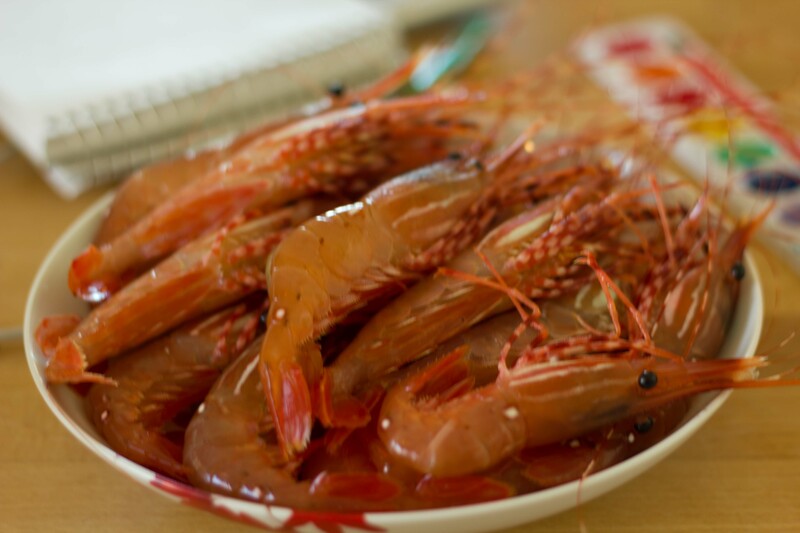 We had a reservations for dinner out that night, but it seemed a shame not to delight in some of the just-caught prawns. Simple is best when it comes to these beauties so just a light sprinkle of salt and onto a hot grill is one of the best ways to enjoy them. A quick sear, a minute a side is all you need to enhance their sweetness. 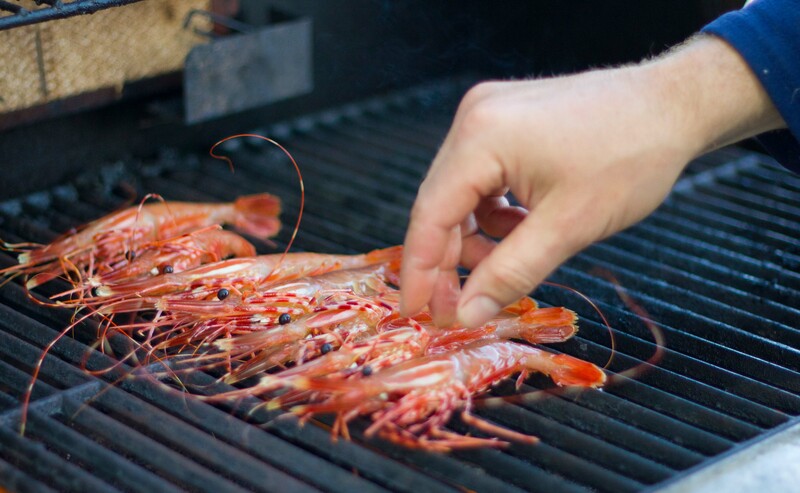 Freshly caught spot prawns on the grill is an example of the best of West Coast living. I wasn’t going to let the numbers disappoint me because we had a little side adventure planned that I knew was going to be awesome. 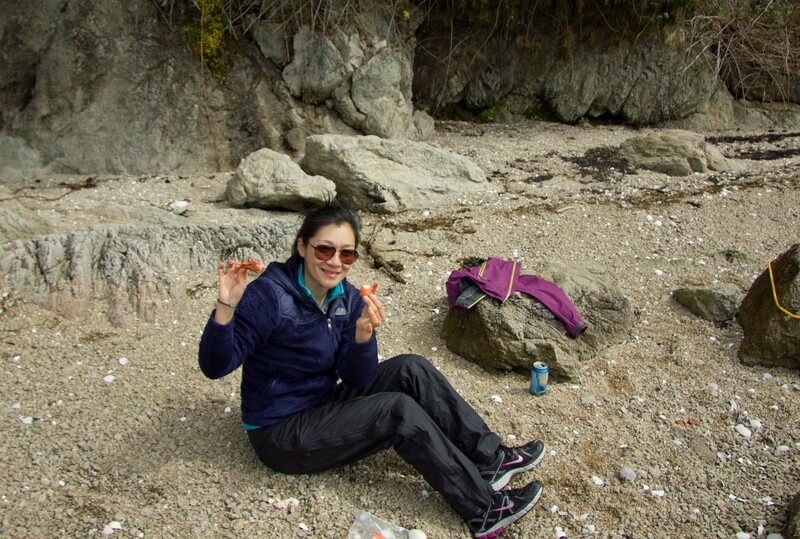 Once most of our traps were pulled up we made our way to a secluded beach for a mid-morning snack. 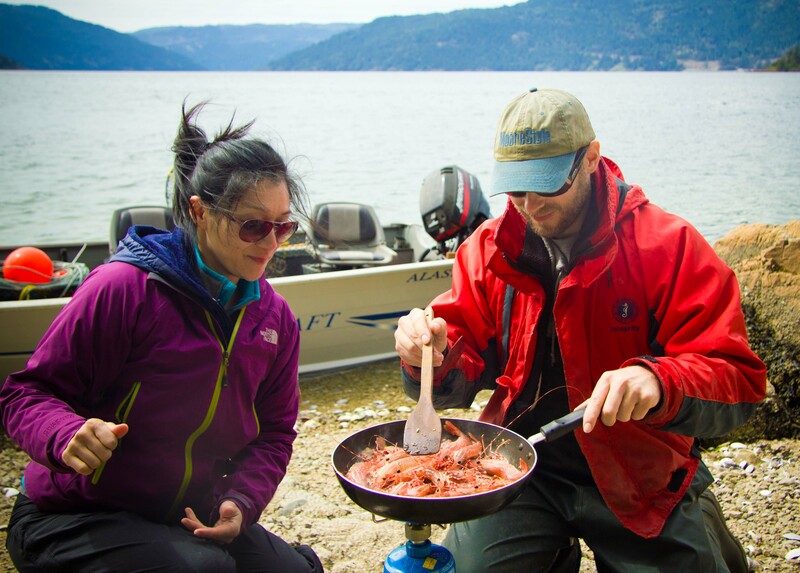 We packed all of our ingredients in advance making for an easy execution once we were ashore. 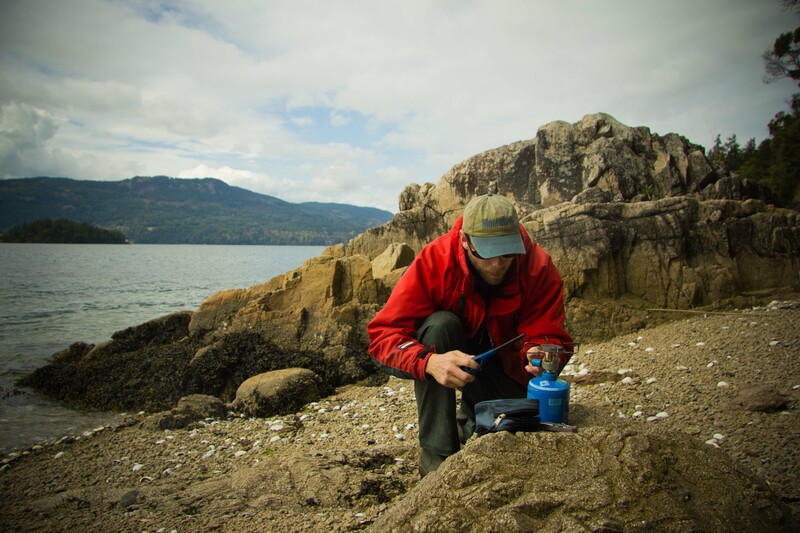 While Ben and I tied the boat up to a rock, Mark got busy setting up the stove. Mark heated the pan and when it was good and hot, added a mixture of olive oil, butter, garlic and chilli pepper flakes. After a good sizzle, some pieces of cut up porchetta from the Woodland Smokehouse were added to the pan. Because I am who I am, I couldn’t just let Mark cook our meal without getting in there to help. I jumped in just as the prawns were about to be thrown in the pan. Checking to see if the pan was hot enough. 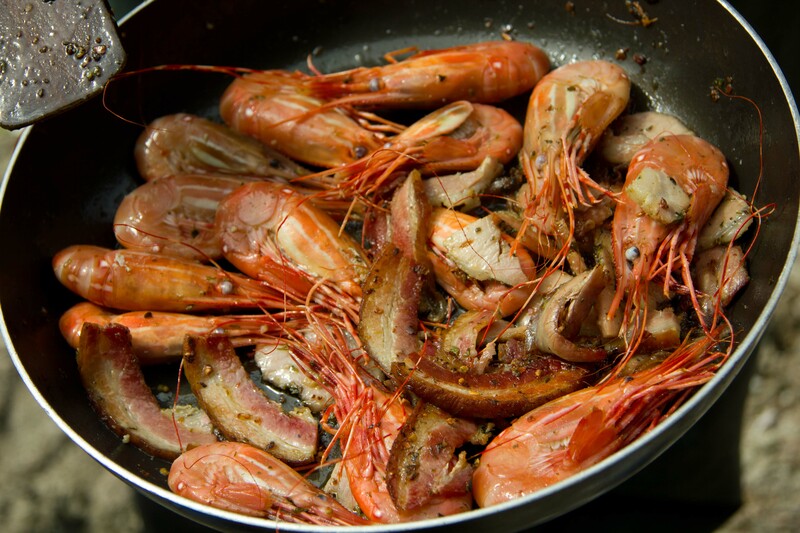 Adding prawns for a quick sizzle in the pan. The aroma coming from the pan coupled with the salty sea air was making me salivate. The extra herbs from the porchetta really added to the flavours in the pan. All that we were missing was a loaf of bread to sop up all the loveliness in the bottom of the pan. 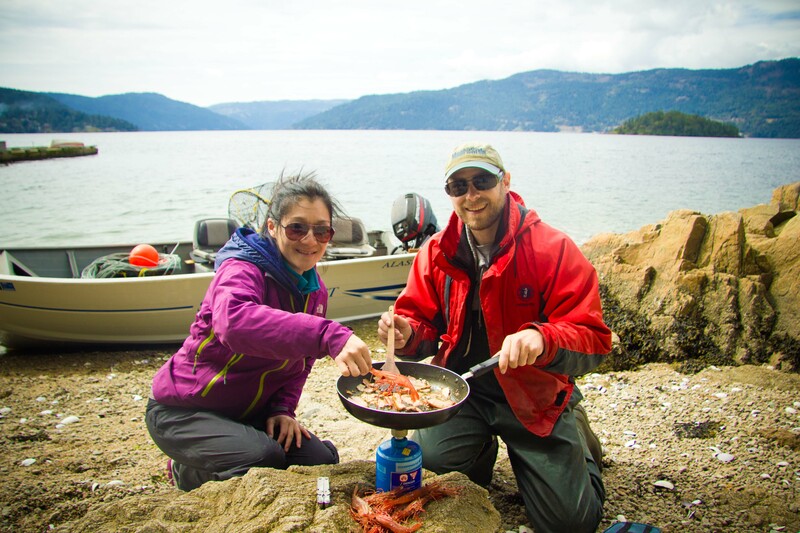 Bacon&garlicky prawns + Phillips beer + secluded beach = PEAK BC EXPERIENCE! 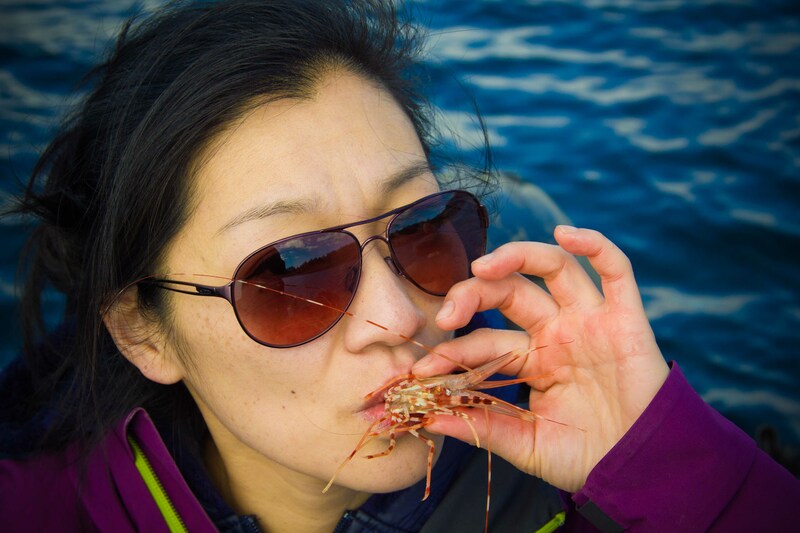 We didn’t pull up as many prawns as last year, but I have to admit that this year’s adventure was just as much fun as the last. 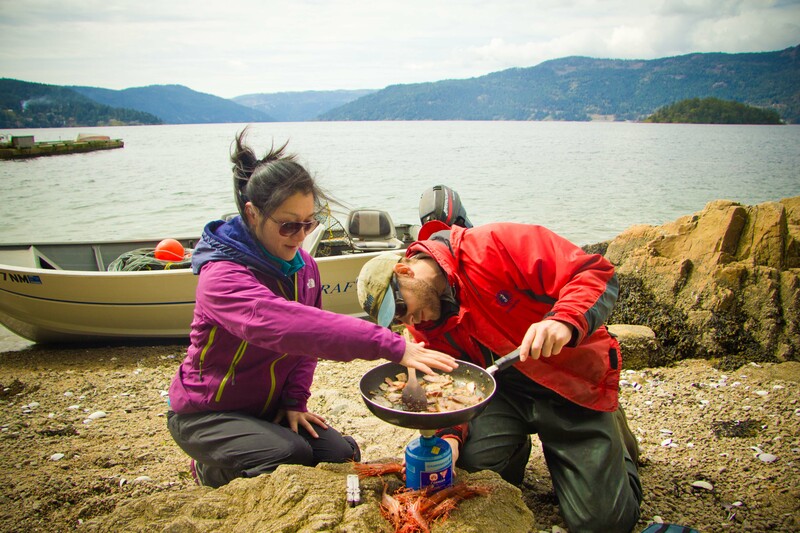 Maybe it was the better weather, maybe it was our increased efficiency, maybe it was the addition of our side adventures, all I know is that our weekend of prawning in Victoria is definitely one of my highlights of the year. Thanks Mark for another great adventure! Thanks for reading Sharise! The scenery was breathtaking and if New Zealand is anything like it, I hope to one day visit. 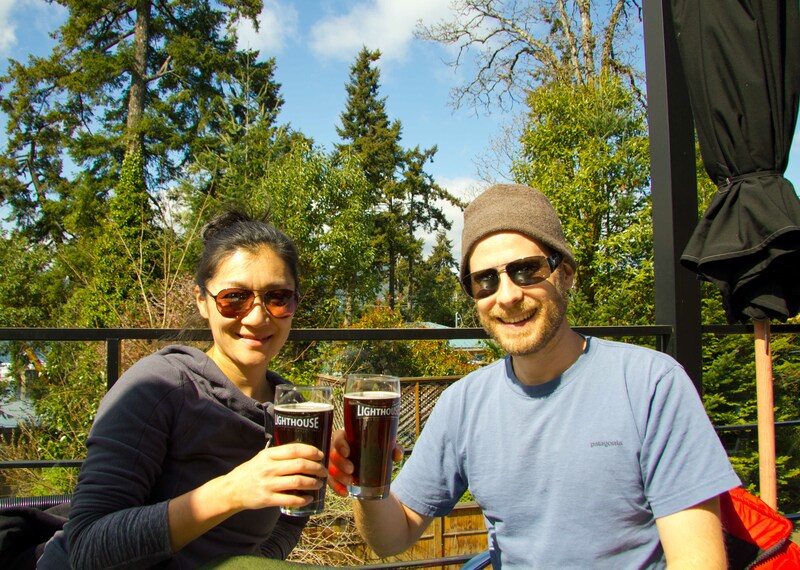 Great write-up Sus … can’t wait until next year’s adventure! I had a blast as always, can’t wait until next year either! 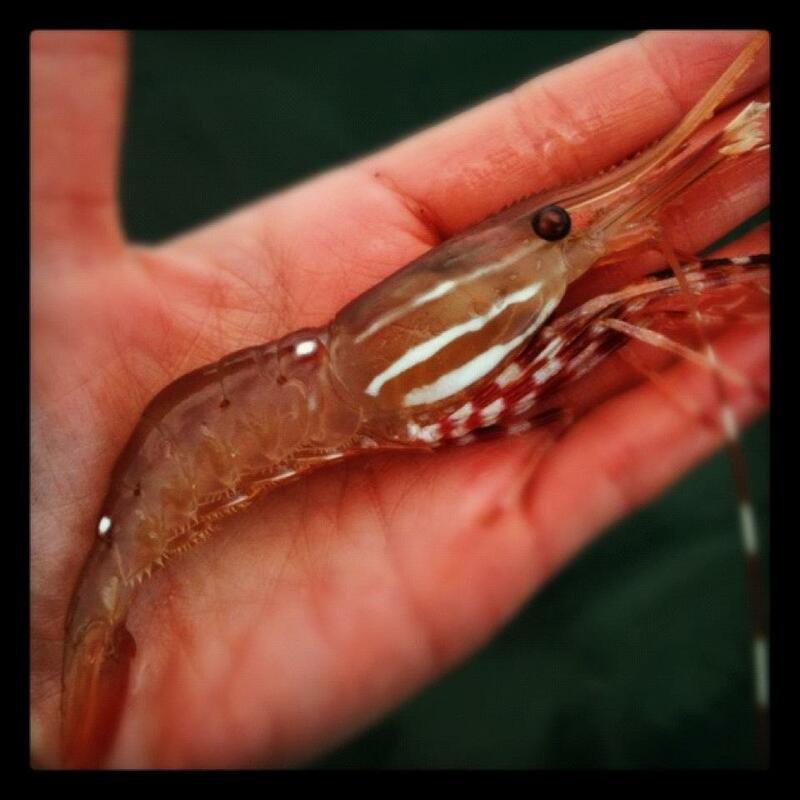 Here I am sitting in Bali and I am jealous of your prawn catching and eating. They just look SO good! They were SO good. 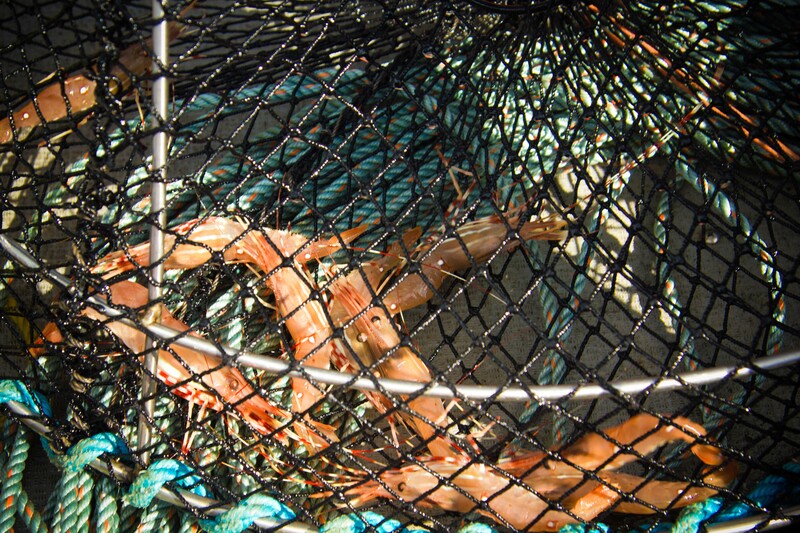 Time to invest in some prawn traps? Looks like you’re having a wonderful time too.